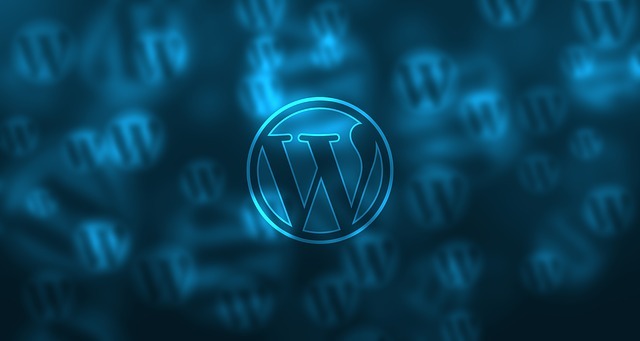 When it comes to hosting a WordPress site, there are a lot of options to choose from. Most WordPress hosting service providers promise 99% up-time and unlimited resources with highly effective support staff. However, one has to cut through every option and choose a hosting company that best suits every component of his or her website needed for SEO improvement. In this post, I am going to take you through crucial factors to consider when choosing a hosting company. Usability of the web hosting service is very crucial, especially when you have little technical knowledge about websites. It’s also crucial when you want to carry out heavy customization of the site and hosting options. The first thing you need to consider is whether the web hosting company provides options like CPanel and ispCP that make it easier to customize a website without the knowledge of the file transfer protocol. Also, ensure the company provides utilities such as the free protocol access that allow you to share and upload files from your personal computer to your site. Though you may have the best website skills and good hosting company, sometimes problems such as downtimes are inevitable. There is a time you will have to contact the support of the hosting company to get things sorted out. When such moments come, you have the right to get a quality service from a knowledgeable team. A good web hosting company must have the best technical support that you can call and get real-time personnel who will help you determine and fix the problem. Look at the available support options like emails, calls, or live chats. Also, determine whether they operate 24/7. A good web hosting company must have a user-friendly control panel that is functional throughout. Whether it is a CPanel, Plesk or a customizable panel, it should uplift customer satisfaction and provide all the necessary functionalities. If you go for a web hosting company that has a limited control panel, you will be at the mercy of the support team even if you require some insignificant changes, which is a waste of time. Before you consider a web hosting company for your WordPress site, look at the demos of its control panel. This way, you can have a rough overview of what you are going into. Therefore, ensure you test every control panel of each web hosting company before you settle on one. A serious web owner has a desire to expand whatever he or she is doing. That is why you need to consider your plans, especially growth and expansion. Ensure the web hosting provider you choose fits into your future plans. What you perceive as perfect and adequate web hosting now may not be the same case when you grow in the next three years. For example, they may not meet all your needs when you start getting huge traffic, or when you start selling your products online. A good web hosting company should have features and packages that are flexible enough to accommodate growth. When selecting, consider whether the company has dedicated server solutions or if they can upgrade your account. If you encounter a company that does not focus on growth, consider other options because moving to a new webhosting company when you expand is expensive and consumes valuable time. Select a company that can easily provide backup services on a daily basis. Since data is crucial for a website, you don’t want to lose it at any moment. Even if you lose it accidentally or through virus infection, you should be able to recover it quickly and conveniently. In this case, the web hosting company should have a strong backup feature that allows you to retrieve lost information. Ensure the company gives backup regularly. Determine whether you can do the backup manually or through support. Also, ask about the cost of backup and whether they allow backup plugins. In a nutshell, we have many web hosting companies with distinctive features. You only need to determine which feature suits you best. However, you have to select a hosting company that gives you real value for your money while at the same time providing you with quality service that can improve SEO rankings and increase traffic to your site. Also, don’t forget about your site’s visitors and select a company with features that support great user experience.